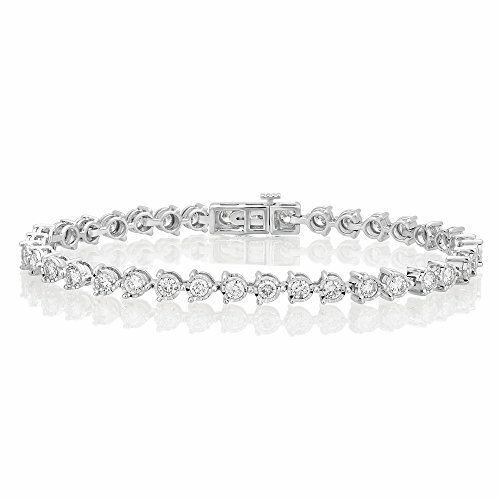 Enliven your look with this simple yet elegant diamond tennis bracelet. Flaunting white round diamonds, this elegant tennis bracelet is crafted of 14k white gold for a glowing appearance. This beautiful piece shimmers with a highly polished finish and is secured with a box clasp.